You may be unknowingly making some common tax mistakes, which can have you paying more tax than you should and not get the tax deductions you are eligible for. Income Tax is something we all look to save, and at times this can get us anxious. 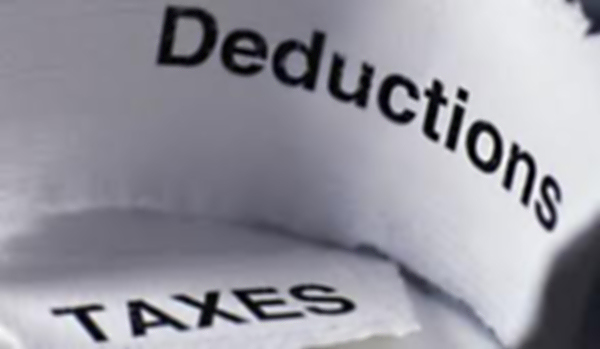 We have our CA who can take care of those worries for us and provide with ways to have various tax deductions. But even he has his limitations as he can only help you up to a certain point. If you are fully aware of all the possible tax benefits and ways to save income tax, and have such investments etc then he will be in a better position to help you out. Also, there are common income tax mistakes that can often lead to you saving a lot less tax than you actually could. On the other hand, at times tax saving can be achieved, but the investments you made may be bad or not result in good returns. There are numerous factors to saving income tax in India, and not all of us are aware of possible ways to do so. This leads us to making common income tax mistakes while filling our returns. By and large we all know about the tax benefit in India that is provided by LIC and other insurance based investments like mediclaim etc. But apart from that if you are investing in PPF, ELSS Mutual Funds, NSC or have Post Office Term Deposit, then all of these provide income tax rebate, meaning the contributions you make to these schemes can provide tax deductions. So declare these to your CA so he can do the needful and you can save tax. This is another common tax mistake that a lot of us make. Section 80C is the most common tax saving option available, but there are other avenues like section 80D, 80G and sub-sections that provide income tax rebate India to you. Tax deductions can be availed if you have made a donation to a political party or a charitable trust or you are bearing the treatment expenses for a dependent or have a dependent suffering certain disabilities as recognized by the Income Tax Act of India. Refer here for more details and avail tax benefit in India beyond section 80C. I run the risk of being repetitive but if you are one of those for whom tax saving in India means Insurance and Insurance means only a Tax Saving instrument done with the purpose of availing tax deductions in India, then that is again an income tax mistake you are making. Insurance is for protecting against an unexpected, unforeseen loss, and the tax deduction is only an added advantage. Do not look at it purely as a tax saving investment as in that case you will be losing out on better products giving tax benefit along with better returns. I have seen numerous people opting for lump sum investment in tax saving plans especially ELSS Funds, during the period of January to March to avail various tax rebates in India and tax deductions. This is just so wrong, from financial point of view. If you invest lumpsum in ELSS products, that are mainly equity based Mutual Fund schemes, then you are facing a possibility of losing out on good returns, since equity is volatile and the best way to make the most of this asset class is to invest regularly. SIP in ELSS should be opted for, with investments spread all over the year so that you get tax benefit and are relatively well guarded against market volatility. Unless you are investing in Tax Saving Fixed Deposits, which is a fixed income product or PPF that is possibly the best Tax Saving option in India, you are losing out on the potential of earning returns on the products you are investing in. I know, you will eventually gain in the following year, but the important factor to consider is taxability of returns as well. PPF is totally tax free, right from the amount invested, to the interest earned to the amount withdrawn on maturity. No other financial product enjoys this advantage. If you have NSC, Tax Saving FDs etc, all interest earned is taxable and do not enjoy any income tax rebate in India. The other thing is to get maximum advantage of the power of compounding that PPF provides, you should ideally invest between 1st and 5th of April each year in case of lumpsum investment, and between 1st and 5th of every month in case of regular monthly contributions. Also Read: Why is PAN card important in India? 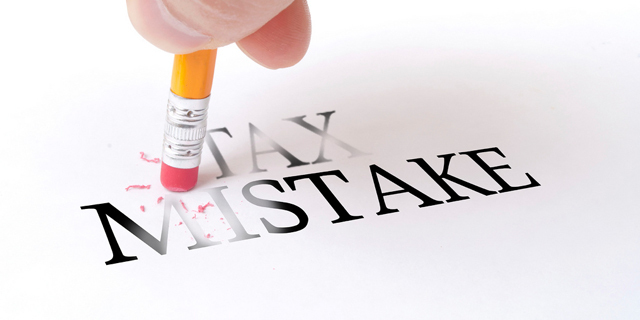 These are the common Income tax mistakes that anyone can make, but are so easy to avoid. Tax rebates or tax deductions are available in various forms and for various investments and expenses that we may incur in our day to day lives. We need to be aware of it to maximize the tax benefit in India.